@MichaelBay/TwitterMeet Squeeks, the cute Transformer. 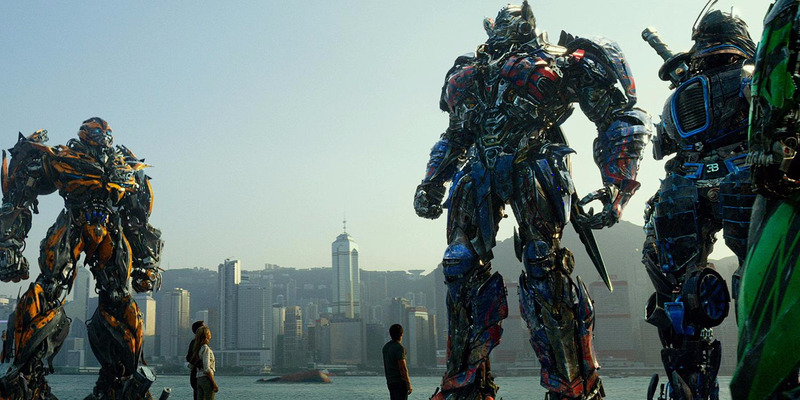 There’s no good reason to care about the next Transformers movie. It has a ridiculous name, “Transformers: The Last Knight.” It’s directed by Michael Bay. And it’s sure to include all kinds of incomprehensible CGI mayhem, nonsensical subplots, and gibberish about the alignment of constellations. Enter Squeeks (pictured above). Notice something strange about him (her? ): he’s kind of cute. The character takes a note from “Despicable Me.” Squeeks is the Minion of the Transformers franchise. Transformers, usually, are not cute, or even attractive. They’re burly fighting machines. 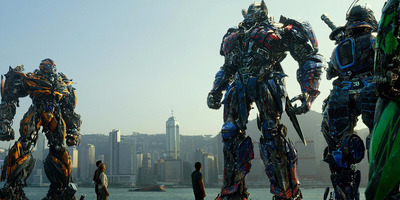 Optimus Prime may be the great hope to save the galaxy from darkness, or whatever, but he isn’t exactly Dwayne Johnson. Bumblebee may look cool, but his body proportions are all weird. Megatron doesn’t even have a clearly defined face. Paramount PicturesHere’s a bunch of Transformers standing around in ‘Transformers: Age of Extinction.’ They are all hideous. And that’s fine. 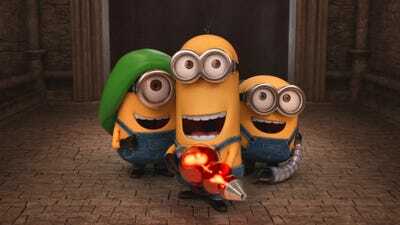 Since “Despicable Me” introduced the Minions way back in 2010, the critters have been a boon for movie studios. They’re small and kids love them. Perhaps most importantly, kids love toy versions of them. “Minions” toys made 2015 a record year for the toy industry. The product licensing deals are more valuable than the movies themselves. 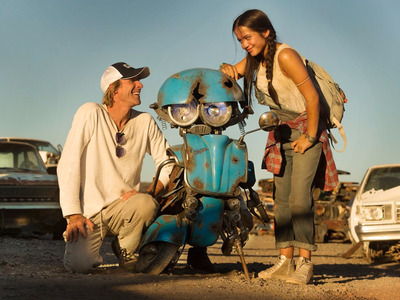 Transformers is perhaps the most crassly commercial movie franchise to have ever existed, so it makes sense that they’d make a cute, Minion-y character. The movie’s internal universe is so incomprehensibly large because it needs to find space for all the Bud Light and Apple product placement. Transformers isn’t the only franchise to Minionize itself. The Minion effect is everywhere. For the new sequel “Alice Through the Looking Glass,” Disney created the Minutes. They’re another toy opportunity. The creatures do not appear in the original book. They’re basically steampunk Minions. Unfortunately, they lacked the appeal of the original Minions, and “Through the Looking Glass” was an enormous flop. 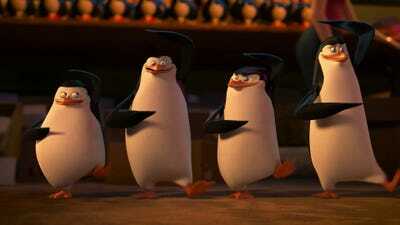 Then there are the penguins of the “Madagascar” franchise. They’re cute characters that get into mischief, and are surprisingly effective at solving plot problems when they need to. Unlike the Minions, though, they are capable of completing full sentences. The penguins started as a modest spin-off. They starred in their own well-received television series “The Penguins of Madagascar,” which lasted a few seasons. But after the success of “Despicable Me,” DreamWorks Animation announced they were getting their own movie, and “Penguins of Madagascar” hit the screen in 2014. The panda cubs of “Kung Fu Panda 3” were prone to malapropisms and help Po beat the bad guys. They’re basically fuzzy black-and-white Minions. And the entire “Angry Birds” movie was based on a game that led to plushy merchandise, and was an effective way to generate even more toy sales. The Trolls movie probably exists along the same lines. Michael Bay and Minion creator Pierre Coffin are just following the path of George Lucas, who introduced the Ewoks to “Star Wars: Episode VI – Return of the Jedi.” And like Ewoks, the cute swarms are usually bad for the movies. They are distracting, pesky, and only occasionally entertaining. The “Transformers” franchise, which is already as bad as it gets, may find a cute Transformer helpful. But for the movies as a whole, they’re excruciating.